Melissa Benoist is anxious to start donning Kara Zor-El's iconic cape and tights, but admits she is eager to play TV's Supergirl. The actress, recently cast in the title role of the "Supergirl" pilot, spoke at the Film Independent's Spirit Awards ceremony over the weekend and told Comic Book Resources that she's particularly looking forward to playing the superheroines down-to-earth side. Benoist did not reveal which version of the traditional Supergirl's costume, if any, she would be wearing in the series, but she admitted at taking a good look at the Maid of Steel's hemline. "It's a little daunting," she laughed. "It's daunting, but that's good. I like being pushed. I work well under pressure." Before being cast as Kara, Benoist was seen in the fourth and fifth seasons of "Glee" as Marley Rose and more recently in the Oscar nominated film "Whiplash" opposite Miles Teller. "I think if you told my five-year-old self that all this would be happening in this period of time, I would not have believed you!" she said. "Because it's been really wonderful. I feel so privileged to be working and doing what I've always loved to do since I was four years old…I'm a little overwhelmed by it, to be honest." 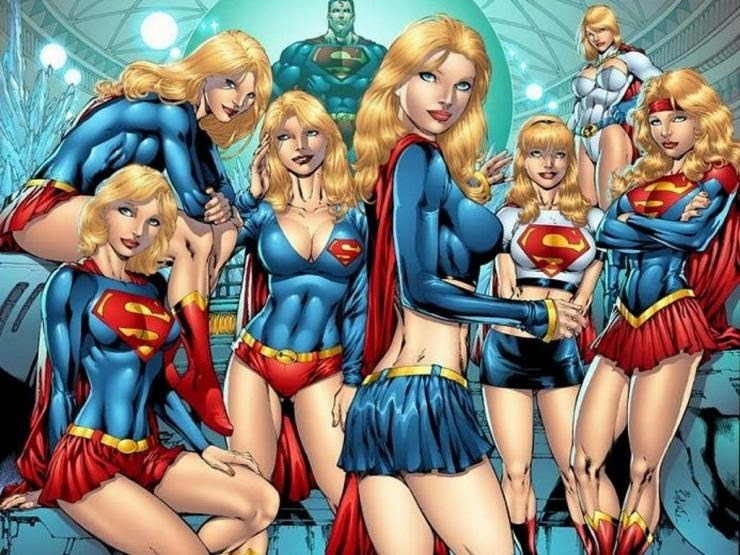 Supergirl is expected to premiere in the fall and is crafted for CBS by producers Greg Berlanti ("Arrow," "Flash") and Ali Adler ("Glee," "The New Normal").